Following a very successful Indiegogo campaign, former A.V. Club contributor and starship busybody Wil Wheaton’s TableTop series is back for its third season on YouTube. The show, produced by the Geek & Sundry channel, finds Wheaton and three to four of his fellow nerdy cohorts playing various games for 30 to 40 minutes or so. It’s a great introduction to a number of different types of games—be they RPGs, cooperative type games, or simple board games fit for people of all ages. Wheaton provides a simple overview in the beginning, outlining the different elements of the game along with each player’s objective and what makes it so fun. Then the playing begins, intercut with combatants’ interviews throughout to check in with their strategy and see how they think the game is going. The first two episodes of season three have already dropped. The first focuses on set-collecting game Tokaido, which Wheaton describes as “the most Zen-like cutthroat game you will ever play.” He’s joined by the once and future Deathlok J. August Richards, former punter and all around social activist badass Chris Kluwe, and game designer Jason Wishnov who are all competing against Wheaton to be the best ancient Japanese vacationer. The second episode is a cooperative game as the group works together to escape the Forbidden Desert. With help from Felicia Day, Alan Tudyk, and Jon Heder, Wheaton attempts to beat the clock and the elements in order to satisfy various objectives. 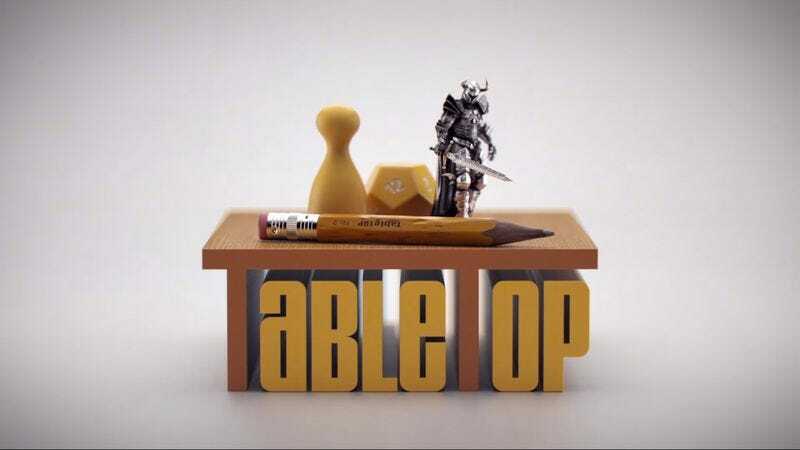 TableTop is an excellent introduction to all sorts of board games that others may not have even heard of, and also a great way to learn how to play if someone needs a crash course before attending a game night. There are some silly moments where jokes don’t quite land and people get way more involved in the gameplay than seems reasonable—but that’s actually a pretty accurate representation of most people’s gaming experiences.